Dear all the heartthrob lovers of NASCAR racing watch your favourite races in 2019 also, as the schedule is announced. 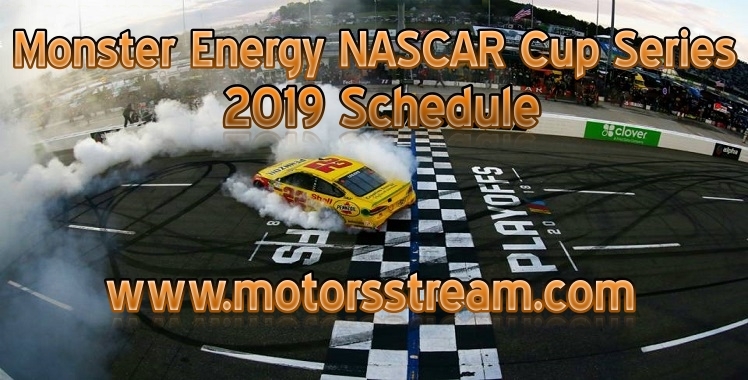 NASCAR has revealed the schedule of all its 3 series for the 2019 year. The first level and most famous Monster Energy NASCAR Cup Series are same as the last year schedule 2018 except few changes. Some of the bigger races will be affected which includes the Play-offs at Las Vegas Motor Speedway. It will be “The South Point 400” on 15th September 2019 which will begin at 7 pm ET. The NASCAR Cup Series will begin on Sunday, 10 Feb 2019 at 3:00 PM sponsored by Advance Auto Parts Clash. Like most times the event will take off from the most attractive Daytona International Speedway. The Speedway will enlighten from 10 Feb till 17 Feb 2019 for 4 total racing events including Daytona 500. Again it will be the 10 months delight for the watchers of NASCAR from Feb to Nov 2019. Homestead Miami Speedway will be the crowned race of the 2019 Monster Energy NASCAR Cup. Official providers Fox Sports, FS1, NBC and NBCSN will televise the 2019 season of NASCAR events. For smart devices NBC Sports app provides the facility of streaming, Motor Racing Network will give Radio facility to the viewers.